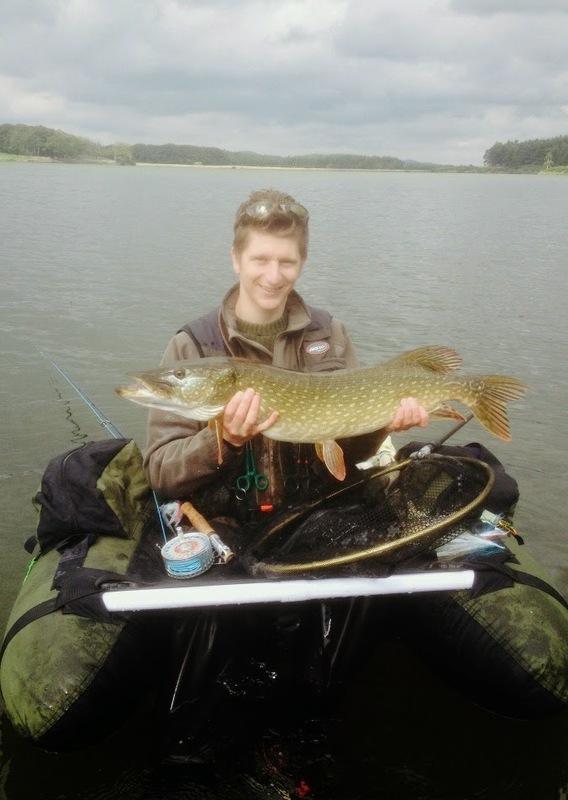 September 2014 Fish of the Month Entry - Float Tubed Pike! Jonathan James with a Scottish Pike caught on the fly while fishing from a Float Tube! The fish took a pattern of his own design.